Throughout her twenty year career in the fields of development, fundraising, and leadership, Jeanine has served in nearly all aspects of the spectrum from Database Manager to Director of Development to CEO. She has worked for the Hartford Symphony Orchestra, Boston Symphony Orchestra, New Britain Symphony, and the Buffalo Museum of Science. As she continued to grow in the field of Development, Jeanine became the Assistant Director of Development at Nardin Academy (Buffalo, NY) and returned to New Hampshire as the Assistant Director of Development at the Concord Community Music School. In 2002, Jeanine joined the Women’s Fund of New Hampshire as their first Director of Development, where she led all fundraising efforts. At the time of her departure, the development program had grown dramatically with a strong system and structure for growth in place. Returning to her love of the arts, Jeanine Tousignant joined the Manchester Community Music School as the school’s first Director of Development in June 2004. Since that time, she was first promoted Vice President for Advancement, and became CEO in 2009. Under her leadership, the Manchester Community Music School was named the Champion in Action for Arts & Culture for the state of NH by Citizens Bank and WMUR-TV, and was voted “Best Music Education in NH” in the readers’ choice contest of Parenting NH Magazine. After 10 years of leading the Music School in becoming a sophisticated organization, with financial stability while maintaining a wonderful community feel, Jeanine stepped down to found Jeanine & Company in 2014. Jeanine serves on the board of Amoskeag Industries, is President of the Manchester Rotary Club, and Secretary of the Board of the NH Business Committee on the Arts. For 7 years, Jeanine served on the Advisory Board of Leadership Manchester, and coordinated the annual Arts & Culture Day. 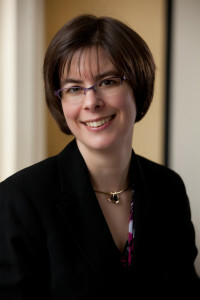 Jeanine is past President of the Board of Directors of CONFR (Continuing Education in Fundraising). In addition, has been an active volunteer with the Greater Manchester YMCA. A graduate from the HARTT School of Music with a degree in music management, Jeanine pursues her love of playing the clarinet with chamber music groups and the Manchester Community Music School Summer Band. An active member of the Manchester Young Professionals Network, she served on their Nominating Committee. She served on the Manchester Arts Commission from 2007-2009. In 2010, Jeanine received The Award for Excellence in Development from CONFR (Council on Fundraising), and is also a member of the 2009 of the Union Leader’s 40 Under 40 Class. She is a 2007 graduate of Leadership Manchester and a graduate of Leadership New Hampshire, class of 2012. In 2014, Jeanine received the Good Samaritan Award for Excellence in Education from Pastoral Counseling Services. When Jeanine is not working with amazing clients, you can usually find her doing one of the following: making music, exercising (jazzercise is her favorite! ), cooking, spending time with her nieces and nephews, boating and fishing with her husband.